Just twenty four hours before this fixture took place, Celtic announced the signing of Dominic Sullivan from Aberdeen for £80,000. 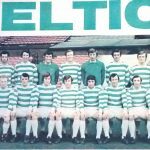 Celtic manager, Billy McNeill, had previously managed Dom during his period at Aberdeen and was said to have been chasing the stylish midfielder for some time and few players can have boasted a tougher baptism of fire than when Dom was thrown into the pressure pot of the big Glasgow derby just a day after signing. 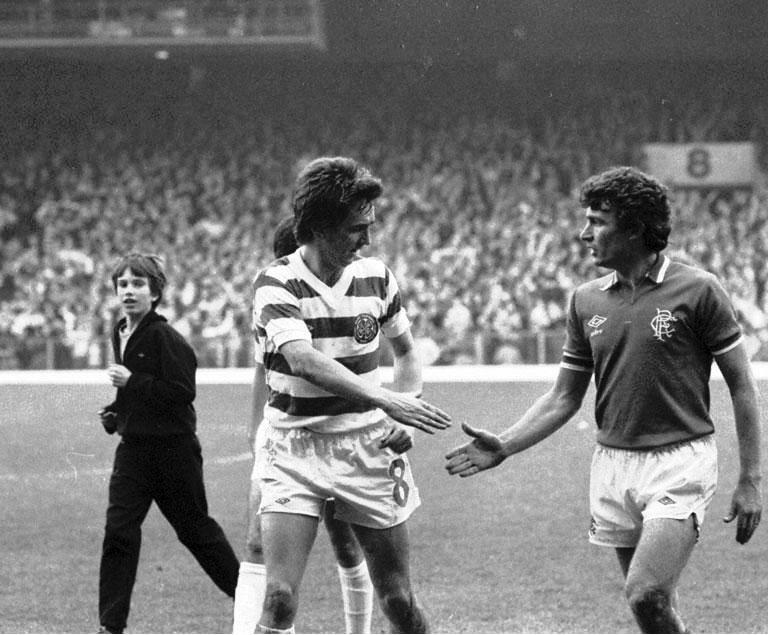 Rangers came to Celtic Park in confident mood after a 1-1 draw in Valencia in their first leg European Cup Winners Cup tie. 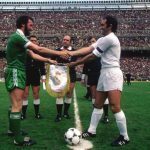 This was a tremendous result and on the night Rangers had subdued the brilliant Argentinian striker, Mario Kempes and the classy West German midfielder, Rainer Bonhof. Celtic, for their part had struggled to a 3-2 in over Irish champions, Dundalk, at Parkhead in the European Cup. 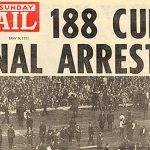 McNeill was livid over this mediocre performance and threw down the gauntlet to his team to make amends by winning the big game against Rangers. 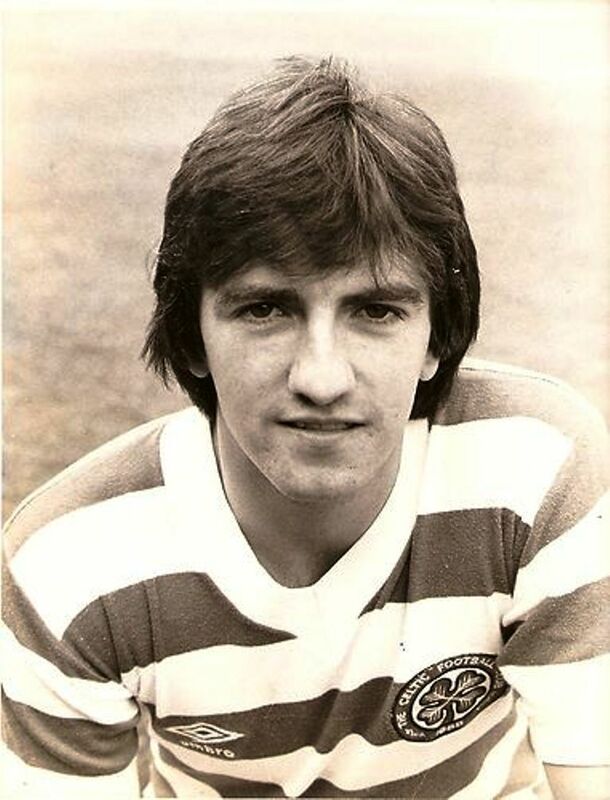 Celtic kicked off with George McCluskey passing to Sullivan immediately from centre to give the new man his first touch as a Celt. Alex MacDonald, a fine Rangers player but one with a rough edge, launched himself forward to tackle Sullivan. The bold Dom coolly dragged the ball back, to leave MacDonald floundering on the turf, and sent a glorious pass to Davie Provan on the right flank. This was impressive stuff and the Celtic fans roared their appreciation as Dom’s Celtic career was now off and running. In the second period Dom Sullivan almost made it a dream debut when his powerful shot just cleared the crossbar. 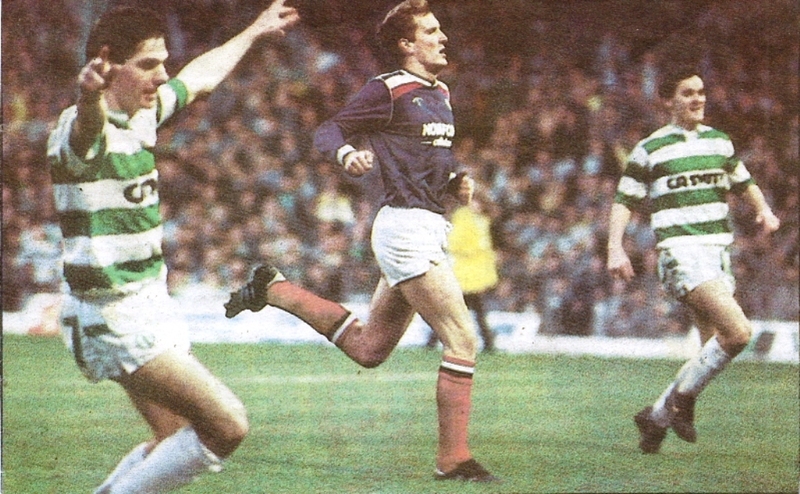 With twenty minutes left Johannes Edvaldsson replaced the ineffective George McCluskey and Celtic’s luck was about to change. 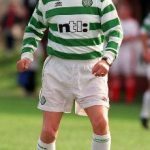 Shuggie, as he was affectionately known to Celtic fans, began to trouble the Rangers defence with his powerful presence and ability in the air. Immediately after the substitution Celtic almost scored when Edvaldsson won a header and Tom McAdam just failed to touch the ball in at the back post. In 76 minutes Celtic forced a corner on their right flank and Davie Provan swung over a glorious, hanging cross for Celtic players to attack. Rangers defenders were so focused on Edvaldsson that Roddy MacDonald was left totally unmarked and he was allowed time and space to rise and score with a typical, powerful header as Rangers defender, Sandy Jardine, tried in vain to clear on the goal line. Rangers threw everything at Celtic in the closing stages and pushed their captain, Derek Johnstone, up into attack but the Celts hung on for a deserved victory. After the match the media focused on the cultured midfield combination of Dom Sullivan and Tommy Burns, both of whom had been most impressive on the day. Not many Celtic players can claim to have made their debut against Rangers. And even less of them can claim to have made it in a winning team. This was a day that Dom Sullivan would never forget.